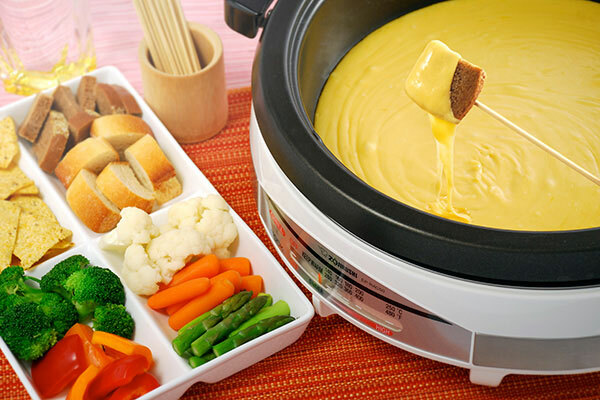 The word Fondue comes from the French verb Fondre, meaning "to melt". 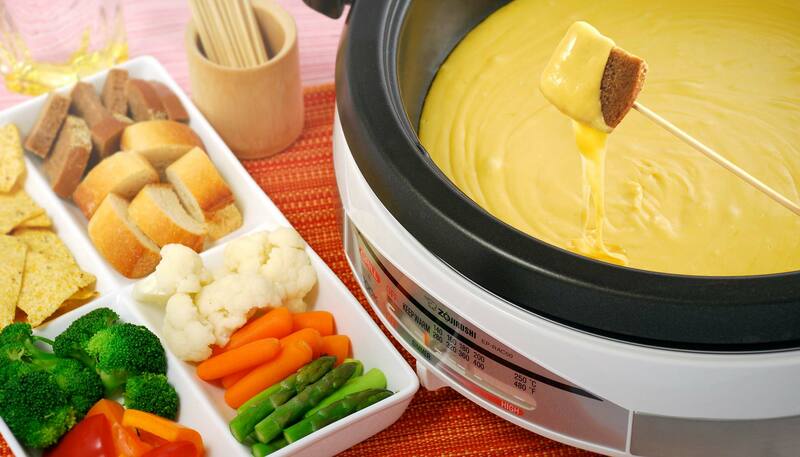 Using the Gourmet d'Expert® Electric Skillet will let you prepare everything in advance, and let guests serve themselves while you enjoy the fondue yourself! 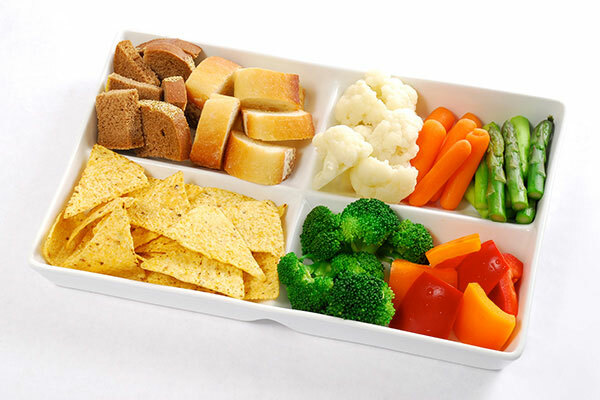 Cut the dippables into bite-size pieces, and arrange on a platter. 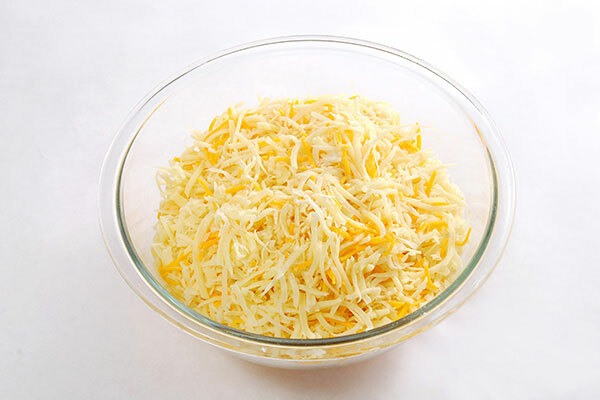 Place the cheese in a container and coat with flour. Rub the surface of the pan with the garlic clove and discard. 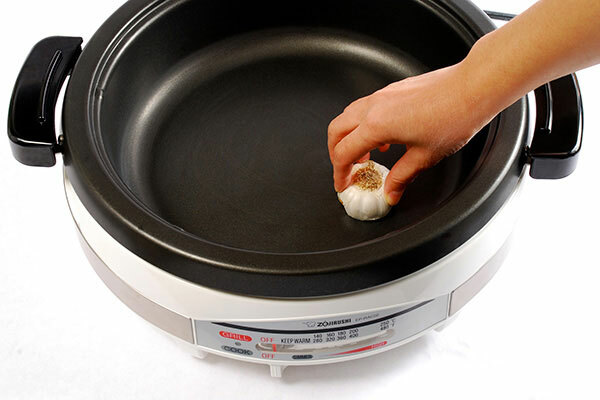 Turn the Gourmet d’Expert® Electric Skillet to 280°F, add the wine and bring to a gentle simmer (do not boil). 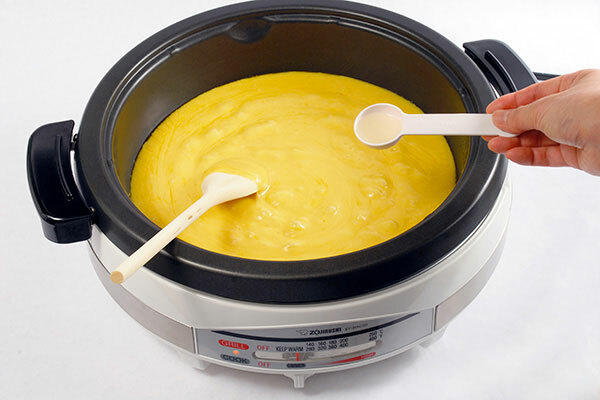 Turn the control lever to Keep Warm and add the cheese a handful at a time, stirring constantly with a wooden spoon. 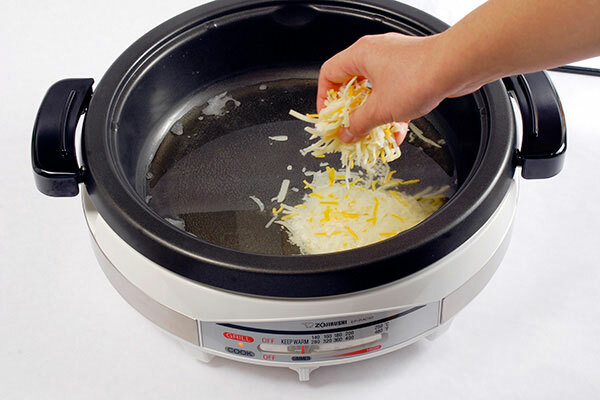 Cook and stir until the cheese is melted and creamy. Spear the dippables with the skewers, and dip in the cheese to enjoy. 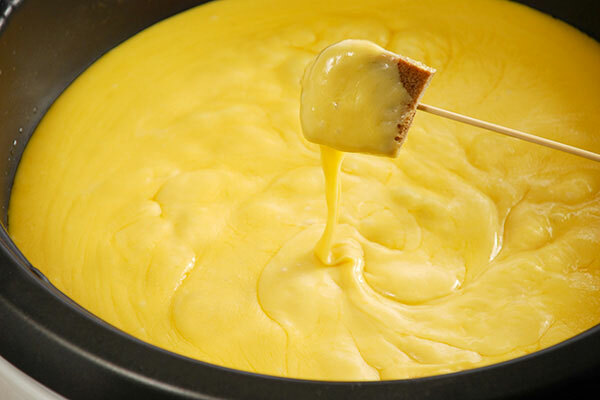 If the fondue becomes too thick, add wine 1 Tbsp. at a time. 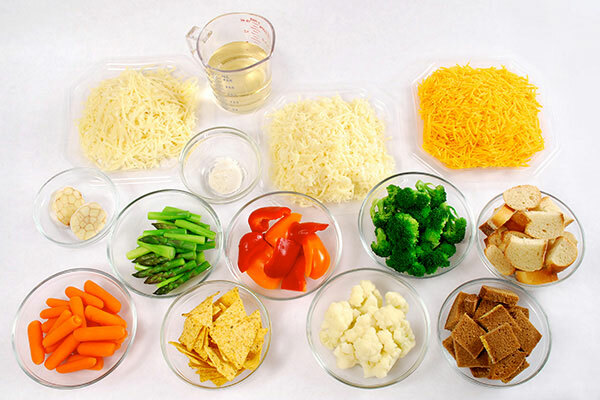 If it becomes thin, add more cheese.